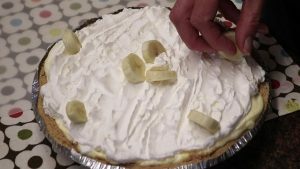 Make this classic banana cream pie recipe for a mind-blowing dessert your friends and family will love! 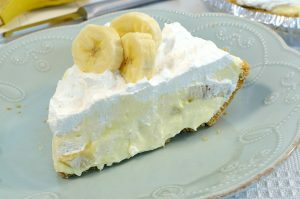 Few things are more heavenly than a perfect, homemade banana cream pie and this recipe will show you exactly how to make one. Just be prepared for everyone to want more! Beat milk and vanilla pudding mix on low speed for 2 minutes. 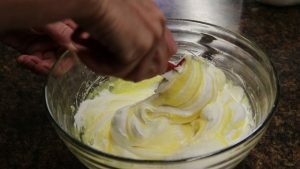 Fold in 3 cups whipped topping. Pour 1 1/3 cups pudding mixture into the pie crust. Layer with bananas and remaining pudding mixture. Top with remaining whipped topping. Add additional banana slices if desired. 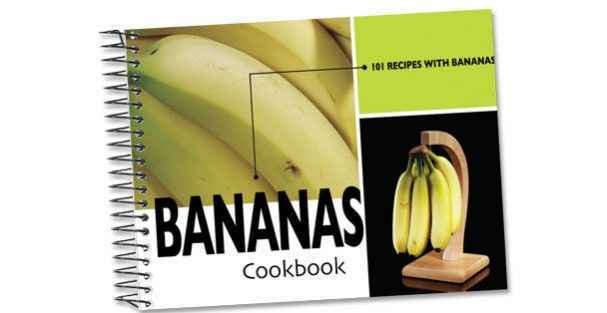 If you love bananas, Rada’s 101 Recipes with Bananas cookbook is just the thing for you! 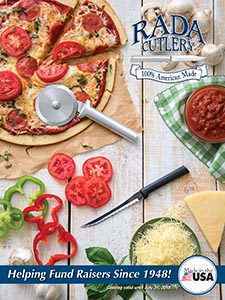 Whether you’re in the mood for a banana cream pie, fruit smoothies, banana pancakes, or even a Hawaiian pork roast, this recipe book has you covered. Visit the online Rada Kitchen Store to purchase your copy of the 101 Recipes with Bananas cookbook! The Rada Super Spreader is the best utensil for spreading creams, frosting, condiments, and more! 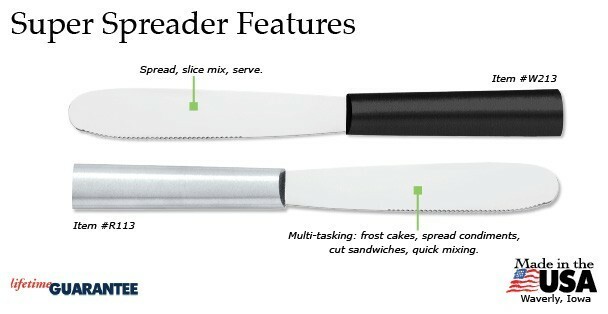 This stainless steel kitchen tool is great for frosting pies or cakes, spreading condiments, cutting sandwiches and bread, serving, and all sorts of other tasks. The American-made Super Spreader is backed with a Lifetime Guarantee! Visit our online Rada Kitchen Store to get your own Rada Super Spreader! 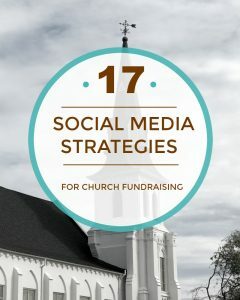 Church fundraising is made easy with Rada’s new guide 17 Social Media Strategies for Church Fundraising. This handy article has plenty of straightforward, easy tips that will take your church fundraiser to the next level. Raise Nonprofit Funds with Rada! Since 1948, Rada Cutlery has made American’s best cutlery! These products can be utilized by your nonprofit group to raise money for noble causes. 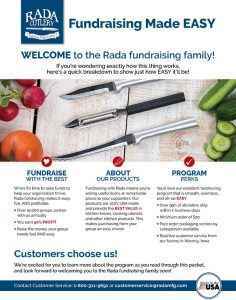 Every year, tens of thousands of nonprofits partner with Rada Cutlery to host successful fundraisers. These groups offer Rada Cutlery to their supporters, with each sale earning the organization an amazing 40% profit! 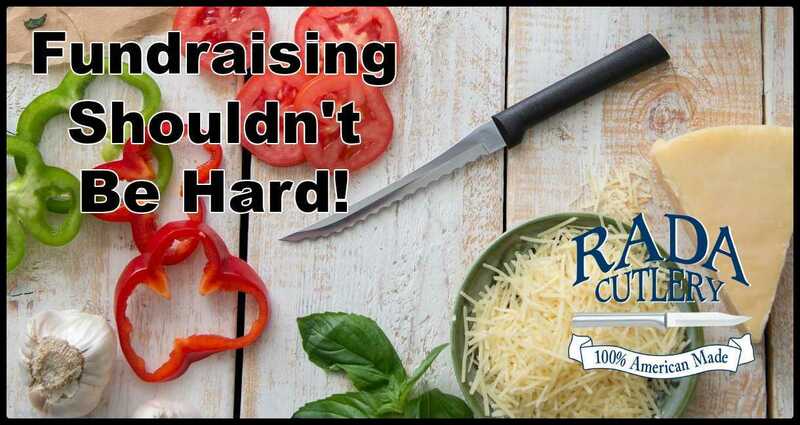 Every year, tens of thousands of churches, schools, civic organizations, clubs, sports teams, and more get where they want to be by hosting a Rada Cutlery fundraiser. 1. The Best Customer Service – Fundraising groups are known to rave about the quality of Rada’s customer service. Our friendly, knowledgeable representatives are committed to helping each fundraiser be a success. Rada Cutlery is a company built on fundraising, and it shows. 2. 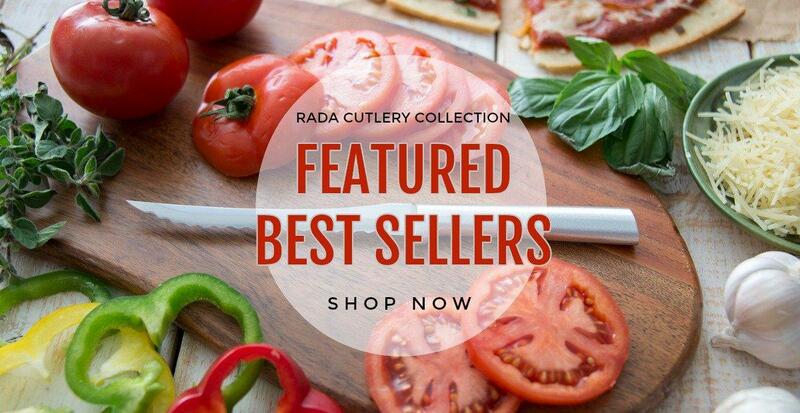 Wonderful Products People Actually Want – Rada Cutlery offers cutlery, kitchen utensils, stoneware pans, cookbooks, and much more! There’s something for everyone, ensuring a wide interest in your fundraiser. All cutlery, utensils, and gift sets are backed by a Lifetime Guarantee, so supporters can buy and use with confidence. 3. Enormous Profits on Sales – Rada Cutlery fundraisers give your group an amazing 40% average profit on items sold! That’s far more than most fundraisers. Your group’s efforts go further with Rada, ensuring that your group can do more good than ever before. 4. 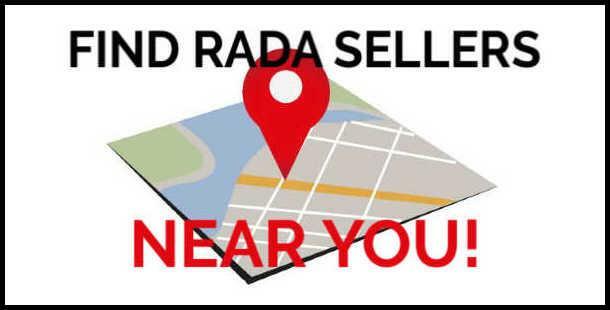 Three Ways to Sell – A Rada fundraiser offers not one but three unique sales methods, each designed to maximize your group’s profits! Catalog sales is a tried-and-true method that allows your group to offer catalogs to friends, family, neighbors, and coworkers. Event sales feature a personal touch, taking advantage of friendly crowds and physical interaction with our stellar products. Online sales utilize the power of the Internet to allow fundraisers to make easy sales to supporters close and far. 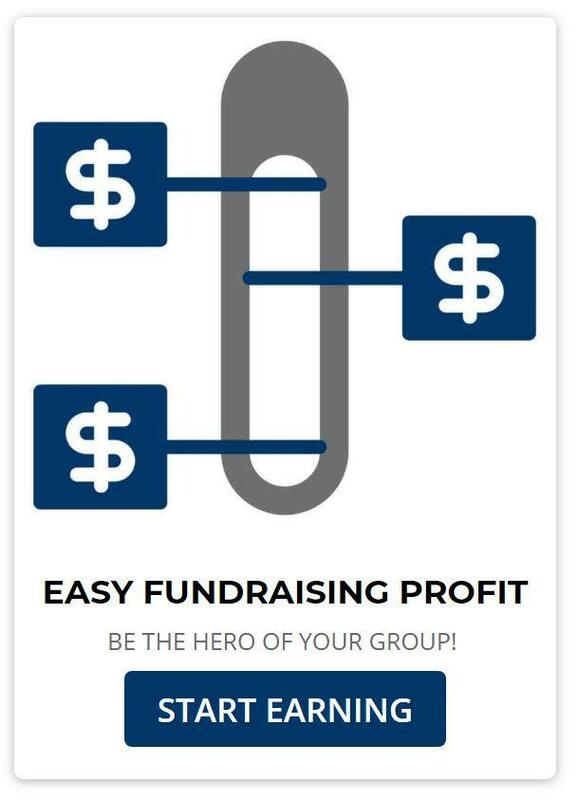 Use one, two, or all three methods to earn money for your cause! 5. USA-Made Cutlery – Every Rada product is made entirely in the USA. American workers craft each item with unmatched skill, making products your group and its supporters can be proud of. 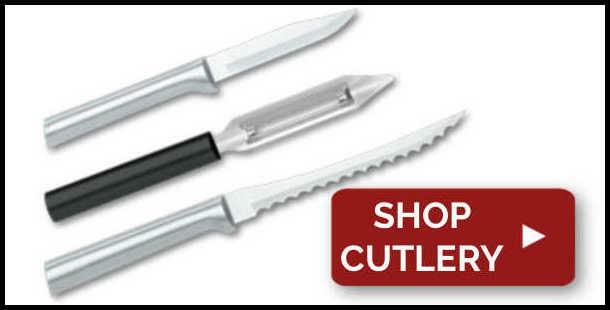 Check out Rada Cutlery’s latest fundraising catalog! Order your Rada fundraising materials. Depending on what kind of sales methods you are using, this could mean you are shipped catalogs, products, or both. Begin your fundraiser. 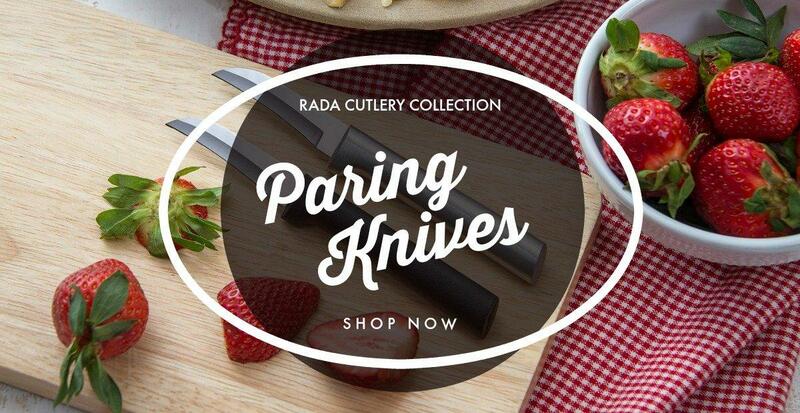 Let all of your friends, family, and acquaintances know you’re fundraising with Rada Cutlery. Many know the Rada name and will jump at the chance to support your efforts. You can also market in other ways, such as posting fliers on bulletin boards. Submit your total order. Tally everything up and send it in. For sales over $1000, we have a convenient simple sorted order system to make the process a snap. Orders will ship within two business days. 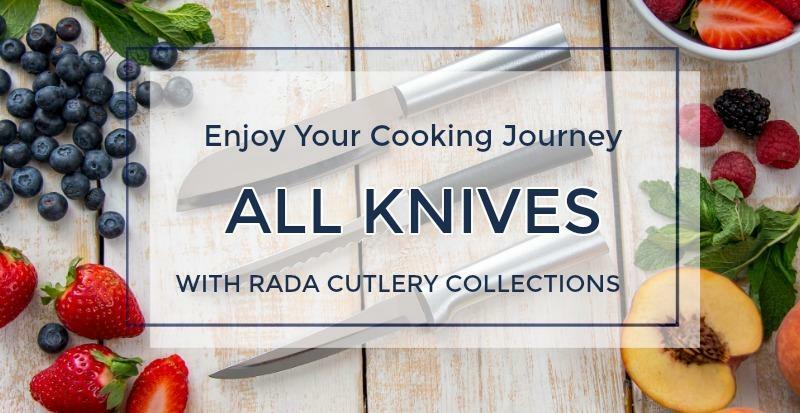 Rada Cutlery is always putting out new and exciting recipes, as well as video posts, cooking and fundraising advice, and more! Follow us on your favorite social media platforms. 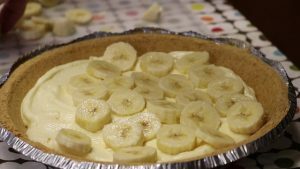 Hi, it’s Kristi in the Rada Cutlery kitchen, and today I want to show you how to make a classic banana cream pie. 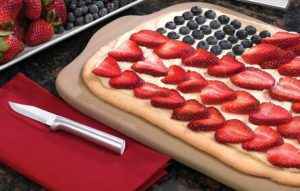 This is one of the recipes out of our cookbook titled 101 Recipes with Bananas. 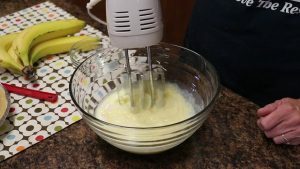 In a mixing bowl, beat 1 cup of cold milk and 1 small package of instant vanilla pudding mix on low speed for 2 minutes. Beat in half a teaspoon of vanilla extract. 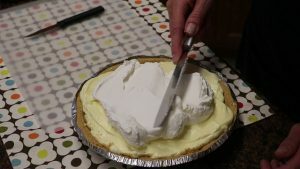 Fold in 3 cups of whipped topping from a 12 ounce thawed carton. 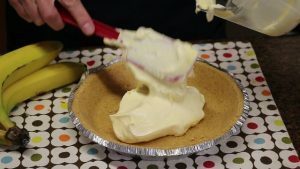 Pour 1 1/3 cups pudding mixture into a 9 inch graham cracker pie crust. Layer with 2 sliced medium bananas and the remaining pudding mixture. Top with remaining whipped topping. Garnish with additional banana slices if desired and refrigerate before serving. 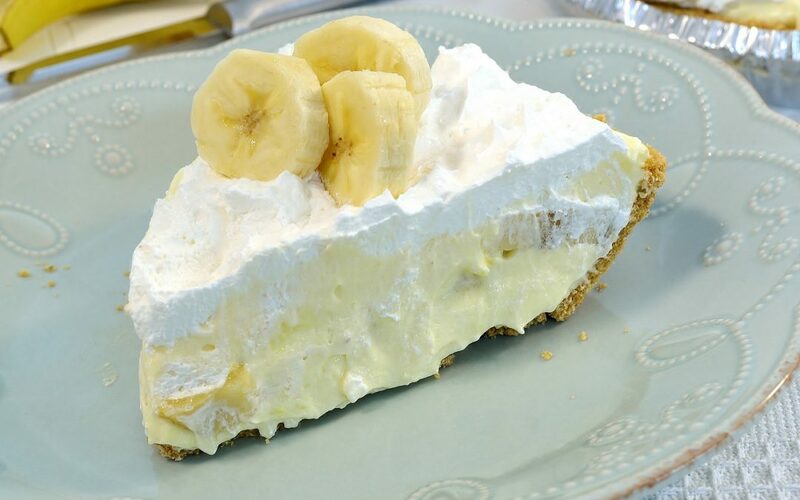 And there you have an amazing and super-simple banana cream pie. Be sure to subscribe to our YouTube channel, and visit us on our website at RadaCutlery.com.